Nairo is an American professional smasher who mains Meta Knight in Brawl, Zero Suit Samus in Smash 4, and Palutena in Ultimate. He is the younger brother of Ksizzle. He is known for being among the youngest, yet one of the most successful smashers to compete in tournaments, as well as being the best Brawl Meta Knight, the best Smash 4 Zero Suit Samus, and the best Smash 4 Bowser player in the world. Nairo is also known for his highly aggressive Meta Knight style, which is at least partly responsible for his great proficiency against Olimar players. He frequently teamed with ADHD in doubles, where Nairo used his aggressive style to overwhelm opponents while ADHD created stage control with Diddy Kong's Banana Peels. The team was considered to be the most powerful doubles force in Brawl, having won Apex 2013, SKTAR 2, Apex 2014, SKTAR 3, and Super Smash Con 2016. Nairo gained national recognition at Apex 2012, defeating top players such as Nietono, before losing to Otori in Winners' Finals and Nietono in Losers' Finals, placing 3rd out of 400 entrants. He won his first national tournament later that year at SKTAR, defeating ESAM in Winners' Finals 3-1 and Grand Finals 3-0. At Apex 2013, Nairo was knocked out of Winners' early by Larry Lurr, but climbed up through his Losers' bracket, knocking out Havok, RAIN, ZeRo, Mr. R, and Anti in the process. Nairo eventually faced Otori in Losers' Semis in a long-awaited rematch, but lost the set 2-3, placing 4th out of 338 entrants. Nairo saw another major victory at Apex 2014, where he defeated ESAM in a rematch from SKTAR, and other top players, such as Mew2King and ZeRo, two of the best Meta Knights in the world. Nairo is considered to be one of the top five Smash 4 players in the world. At EVO 2015, he placed 3rd in Super Smash Bros. for Wii U singles. He defeated Mr. R 2-0 in Winners' Semis, but then lost to ZeRo 0-3 in Winners' Finals, after almost winning the first 2 games, but missing the KO in both games after hitting with Zero Suit Samus's paralyzer. He then lost his rematch with Mr. R 2-3 in Losers' Finals. He has also used Bowser, Cloud, Diddy Kong, Lucina, Dark Pit, Pit, Robin, and even low tier characters such as Zelda and Dr. Mario at a very high level as well. He was the only player to eliminate ZeRo in a Smash 4 tournament in 2015 and the first to double eliminate him, ending the latter's 56 win streak at MLG World Finals 2015. After losing in Winners' Semis to ESAM 1-3, Nairo climbed through the losers' bracket, beating Mr. R 3-0, Ally 3-1, and ESAM 3-0 in Losers' Finals with a surprising character choice of Dr. Mario. This marked the first time Nairo had taken a set from ESAM in Smash 4 as well. In Grand Finals, Nairo won the first set 3-2 and won the second set 3-1 against ZeRo's Sheik and Diddy Kong, ending ZeRo's winning streak. Nairo is currently ranked 1st on the New Jersey Smash 4 Power Rankings, 1st on the 2016-2017 SSBBRank, and 2nd on the Panda Global Rankings 100. He was ranked 4th on the final Tristate Brawl Power Rankings. Nairo was signed on by Team Liquid from August 11th, 2015 through August 16th, 2016. 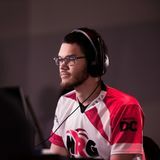 On August 24th, 2016, Nairo signed with NRG Esports, renewing his contract with them on October 11th, 2017. Interestingly enough, despite his older brother Ksizzle having been known to be one of Ally's hardest opponents to play in tournament during his prime, Nairo failed to take a set from Ally in Brawl singles for four years despite having surpassed his brother since then. However, at Apex 2015, Nairo managed to beat Ally in tournament for the first time in Winners Semis, although he ultimately ended up losing both sets of Grand Finals to Ally. Starting with SKTAR in 2012, Nairo held a perfect record against ESAM in Brawl for three years. However, at Super Smash Con 2015, ESAM finally defeated Nairo for the first time and went on to Grand Finals only to lose to Mew2King. Ironically, in Smash 4, ESAM had a perfect record against Nairo. However, at MLG World Finals 2015, Nairo beat ESAM for the first time in Smash 4 in Losers Finals. Pound 2016 was Nairo's worst placing in a Smash tournament, getting 49th place in Super Smash Bros. for Wii U singles after getting sent to losers bracket by Saj's Bayonetta, and being eliminated by Mr.II, a Japanese Robin player, in a huge upset. Similarly, Nairo's worst doubles placing in any Smash tournament was 2GGC: Greninja Saga, placing 17th with ZeRo. Nairo was featured on Road to EVO: Nintendo Minute along with VoiD and D1. This page was last edited on April 21, 2019, at 16:23.